"Nigeria’s budget is a contract vending machine rather than a planning document. This is because a typical budget will first bring all the arms of government together and follow the goals of the ruling party. "Then, everything you will see in the budget in terms of allocation will follow that pattern. But here, every arm wants to stuff things into the budget, so that its becomes a legal opportunity to procure." That was the Chief Executive Officer of BudgIt, Seun Onigbinde, lamenting the fate of Nigeria's annual federal budget. BudgIt is a civic organization committed to transparent implementation of the budget. Onigbinde, who said this during a presentation at the 'Meet-the-Executive' forum organised by members of the Finance Correspondents Association of Nigeria (FICAN) in Lagos on Tuesday, expressed concern over the poor state of budget implementation in Nigeria. "So, that is the problem. So, if we see the budget as a planning tool, part of the problem we have with the budget will not be coming up," he added. 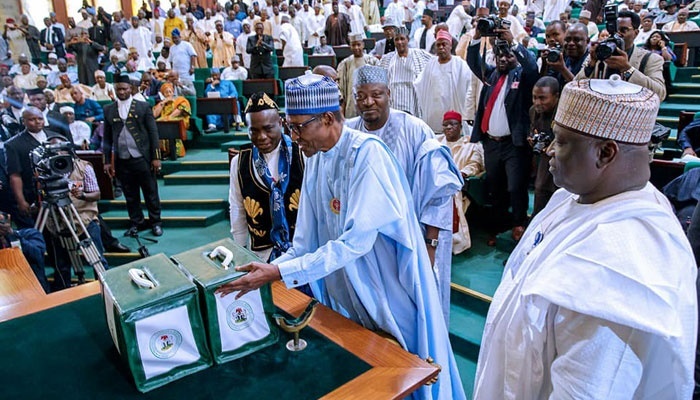 According to Onigbinde, after a country's constitution, the second most important document is the budget that stipulates allocation of resources to members of the public. "People would tell you that after the constitution of a country, the most important thing is the budget. Gradually, we are moving to a point where every single person would be able to have a conversation on the budget," Onigbinde added.